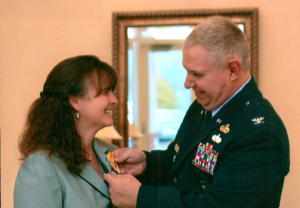 Col. Martin retired in 2013 after 33 years with the Air Force. Military service wasn’t always his plan, however – he was set on a career in business and was attending college with that goal in mind. 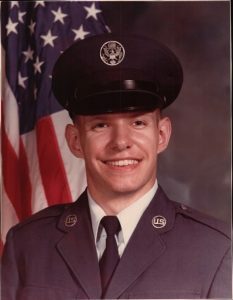 But through the suggestion of his mom’s boss, he decided to join the NC Air National Guard at the age of 19 along with several of his friends. “I thought it’d be practical experience, resume building,” Steve said of his military training, still determined to work in the corporate world. He finished his business degree from Belmont Abbey College in Belmont, NC, in 1982. 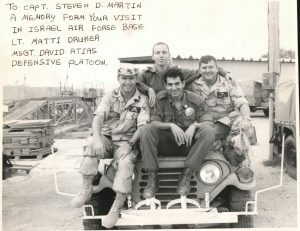 He was growing fonder of his military career, however, and was hired on full time in 1983. 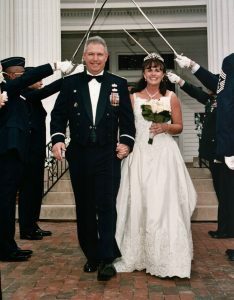 While still in college, he began his service as airman basic (E1 pay grade – the lowest ranking), but worked his way up through officer training to his eventual promotion of colonel in 2007. While his duties took him to many places – Ecuador, Panama, Bolivia, Kuwait, Israel, France, Germany, England, Iceland, Moldova, Afghanistan, and more – his assigned base has been Charlotte or Raleigh for most of his career. And that suited the Gaston County, NC, native just fine. His major responsibilities included management, development, and execution of state operations for federal or state emergencies, man-made or natural disasters, and federal military mobilizations. These skills were crucial when Steve’s unit was called by civilian staff to help when a domestic plane, USAir flight 1016, crashed near Charlotte, NC, in July of 1994. Due to thunderstorms, the plane crashed through trees and into a residential area about a half a mile from the runway. He describes that time as the “best and worst days” of his career. His training kicked into high gear as he supervised the Air National Guard unit’s recovery efforts – they helped process the lost passengers and preserve details of the crash site. Fourteen souls were injured, and 37 were killed in the crash. Then-Captain Martin was physically and emotionally exhausted, relying on his faith to help him process the tragedy he had witnessed. The Guard’s methods used set the stage for future National Transportation Safety Board training around the nation. 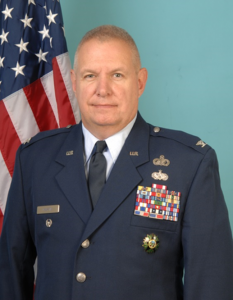 Later in his career, Col. Martin developed the “Force Packaging Model” which was adopted by the National Emergency Management Association as the “model” for National Guard Defense Support to Civil Authorities. Steve was raised in a Christian home and has always valued his faith and family. “Any success I’ve had is not because of me, but because of the Lord,” said Steve, who was saved and baptized at the age of nine. He and his wife Deborah are active members at Friendship. At his wife’s suggestion, they began the Yellow Ribbon Ministries to reach out to active service members, veterans, and military family members. They publish a monthly newsletter, which reaches 250+ subscribers (email or hardcopy), and hold fellowship gatherings about twice a year. The newsletter features what Steve calls “military parables” – history with a biblical lesson, new military policies, and other items of interest to military families. You can also find the newsletter at the church’s welcome center desk. Steve noted that Friendship is very supportive of veterans, and features the color guard and recognition of service members on patriotic holidays. One of Steve’s favorite church ministries is the nursing home ministry. For more than eight years, he and Deborah have joined a handful of other members to bring music and cheer to nursing home residents a few times a month. His fellow musicians have become some of his closest friends. In addition to the above ministries, Steve is membership chairman of the North Raleigh Gideons Camp (The Gideons International), his wife is a long-time church pianist, and they both sing in choir and are assisting a church plant in Chapel Hill on a short-term basis. Steve is a prolific reader – everything from novels to Christian living to biographies and magazines – but he’s recently added a new aspect to his reading: journaling. Steve has three grown children and two grandchildren, and he’s intent on leaving that legacy of faith for them. “Often I’ll read something and think, ‘That’s neat,’ and then it’s gone,” said Steve. He decided to start taking the time to hand write passages from books he’s read into a journal, almost daily. “If I’ve taken the time to hand write it, it’s time consuming, so my family knows it’s important. For me, it’s part of my legacy.” He noted the same holds true for his Bible, which is marked up with meaningful passages and sermon notes. In addition to retired colonel, musician, family man, and church member, Steve is also an author. In 2013, he released, “Crosstell: Military Parables for Victorious Living.” (Find out more at FontLife Publications.) The book features short stories, historical accounts, military lessons, and spiritual applications for the Christian life. In his retirement, Steve continues to read, travel, spend time with his grandkids, and minister to church members one-on-one. He is thankful for how the Lord has directed his path throughout his life. You’ll have to ask him how a seat mix-up and a flight delay led to him meeting his wife, Deborah. It’s a story worth hearing.